Hadiya Masieh now devotes her time to speaking out against extremism. Photograph: Sarfraz Manzoor for the ObserverOn Tuesday, the eve of the fifth anniversary of the 7 July bombings when 52 people died at the hands of Islamist terrorists, 100 orthodox Jewish and devout Muslim women will come together to try to foster closer ties between the two communities. The women will gather at a west London cinema for a special screening of Arranged, a film about inter-faith friendship, before talking and learning about their respective lives. That the event is taking place at all is surprising, but what is even more startling is that the woman who has organised it was once a senior figure in a radical Islamist organisation. Hadiya Masieh, a 32-year-old mother of three, spent 10 years as a member of Hizb ut-Tahrir, the controversial group that seeks an Islamic caliphate and has been accused of encouraging antisemitism. But then the terrible events of 7 July 2005 transformed her outlook. “I feel like I was a pawn,” she told the Observer. “Led down the garden path when I didn’t know better.” Today Masieh devotes her time to speaking out against Islamist extremism. As the anniversary of Britain’s worst terrorist atrocity approaches, the story of her radicalisation provides a grim reminder of how a young person can lose her bearings. The way she managed to turn around her life in the aftermath of the bombings, even becoming an adviser to the last government on Muslim women’s issues, is one of the few positive outcomes from a horrifying day. In the autumn of 1996, Masieh was just another teenager leaving her home and family to start university. The boarding school-educated daughter of middle-class Mauritian and Ugandan parents, she had been raised as a Hindu but even before leaving to study in London she had begun to question her faith. Two weeks later, on the day of the foiled second wave of terrorist attacks on the London underground, Masieh gave birth. The synchronicity of attempted murder and of new life left her convinced that she had to abandon any vestiges of her radical thinking and embrace a more tolerant version of Islam. “The 7/7 bombers and the people I knew at HT were two sides of the same coin,” she says. “HT says it does not believe in violence, but the violence was never condemned; they just didn’t think it would achieve anything.” She told the organisation that she no longer believed what it preached and she left. These days Masieh works for the Three Faiths Forum, an inter-faith organisation that seeks to build bridges between religions. 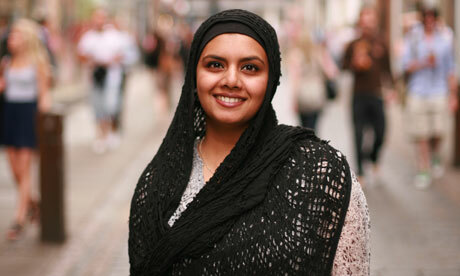 Her campaigning has led her to speak at universities, where she meets young Muslims who could be tempted to embrace radicalism.